Armed American Radio with Mark Walters – Current events and everything that matters to our right to bear arms as the enemies of freedom battle us daily. Guest Lineup: Mark and Lee "The Gun Writer" Williams discuss the AR 15 for home defense. Armed American Radio with Mark Walters – Current events and everything that matters to our right to bear arms as the enemies of freedom battle us daily. Guest Lineup: Mark exposes NT and Pittsburgh anti-gun strategy...and why it will fail. Armed American Radio with Mark Walters – Current events and everything that matters to our right to bear arms as the enemies of freedom battle us daily. Guest Lineup: Mark talks Tench Coxe, reads emails and examines red flag laws with trainer Rob Pincus, currently on his national training tour. Armed American Radio with Mark Walters – Current events and everything that matters to our right to bear arms as the enemies of freedom battle us daily. Guest Lineup: Mark takes on the Pope.... and the Pope loses. 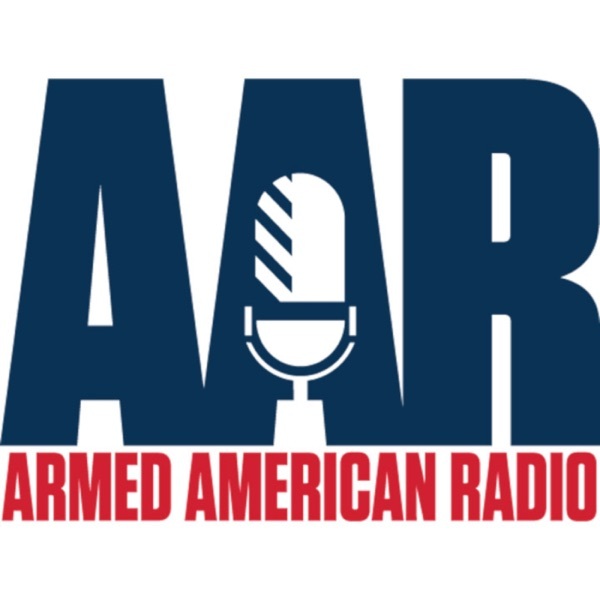 Armed American Radio with Mark Walters – Current events and everything that matters to our right to bear arms as the enemies of freedom battle us daily. Guest Lineup: Mark tells it like it is and exposes the actions of the gun prohibitionists. Armed American Radio with Mark Walters – Current events and everything that matters to our right to bear arms as the enemies of freedom battle us daily. Guest Lineup: Banks, Judges, Trouble. Armed American Radio with Mark Walters – Current events and everything that matters to our right to bear arms as the enemies of freedom battle us daily. Guest Lineup: Mark rips Americans who head to the Caymans with guns and complain about being arrested. Armed American Radio with Mark Walters – Current events and everything that matters to our right to bear arms as the enemies of freedom battle us daily. Guest Lineup: Monstercast lineup included David Codrea and attorney Stephen Stamboulieh along with AWR Hawkins from Breitbart News, Beth Baumann from Townhall and George "The Mad Ogre" Hill. Armed American Radio with Mark Walters – Current events and everything that matters to our right to bear arms as the enemies of freedom battle us daily. Guest Lineup: Mark talks with "The Voice of Reason," radio host, Andy Hooser! Armed American Radio with Mark Walters – Current events and everything that matters to our right to bear arms as the enemies of freedom battle us daily. Guest Lineup: No SCOTUS action means 500,000 new American felons overnight, and more! Armed American Radio with Mark Walters – Current events and everything that matters to our right to bear arms as the enemies of freedom battle us daily. Guest Lineup: Lee "The Gun Writer" Williams joins Mark and talks provocative gun confiscation orders and door to door enforcement! Armed American Radio with Mark Walters – Current events and everything that matters to our right to bear arms as the enemies of freedom battle us daily. Guest Lineup: Stephen Gutowski, award-winning reporter for the Free Beacon joins Mark today to talk the latest breaking news. Enjoy! Armed American Radio with Mark Walters – Current events and everything that matters to our right to bear arms as the enemies of freedom battle us daily. Guest Lineup: The truth hurts! The paradigm shift is complete. Socialist party leadership now owns gun confiscation as part of their platform. Armed American Radio with Mark Walters – Current events and everything that matters to our right to bear arms as the enemies of freedom battle us daily. Guest Lineup: HUGE broadcast tonight! Alan Gottlieb, AWR Hawkins, David Codrea and attorney Stephen Stamboulieh all brought their "A" game! Armed American Radio with Mark Walters – Current events and everything that matters to our right to bear arms as the enemies of freedom battle us daily. Guest Lineup: Captain Matt Bruce sits in for Mark. Enjoy the program. Armed American Radio with Mark Walters – Current events and everything that matters to our right to bear arms as the enemies of freedom battle us daily. Guest Lineup: Mark rips open NZ and the American gun prohibition lobby for support of full-on confiscation of firearms. Armed American Radio with Mark Walters – Current events and everything that matters to our right to bear arms as the enemies of freedom battle us daily. Guest Lineup: Mark exposes the gun grabbers fraud with the real numbers they don't want to talk about. Armed American Radio with Mark Walters – Current events and everything that matters to our right to bear arms as the enemies of freedom battle us daily. Guest Lineup: Another great AAR Monstercast with Concealed Carry Magazine Editor, Kevin Michalowski, Andy Hooser and Rob Simpson who gave away a free GunBox portable safe to one lucky winner! Enjoy the program.